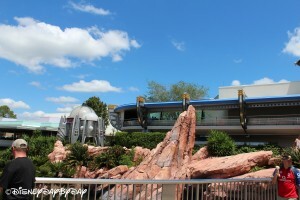 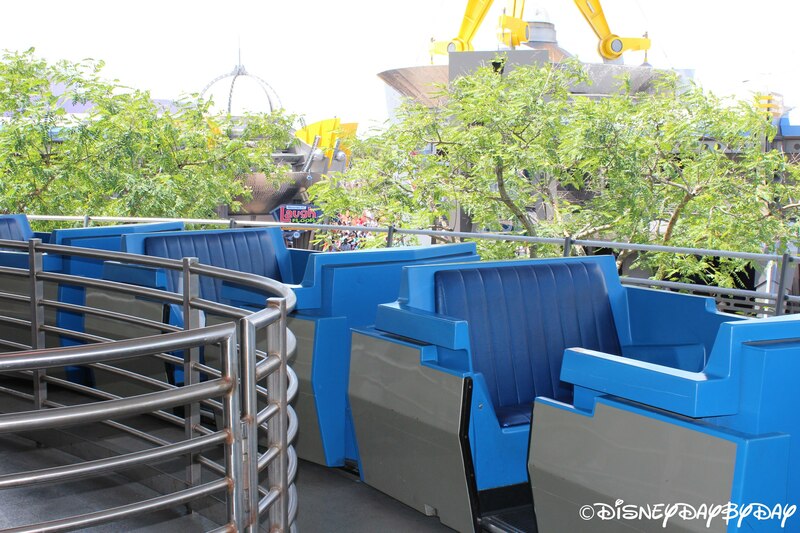 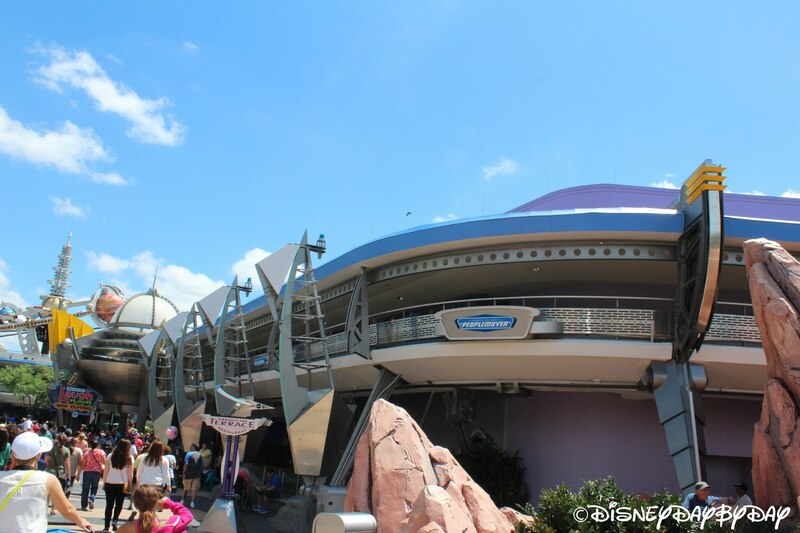 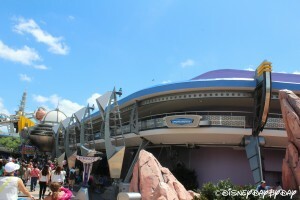 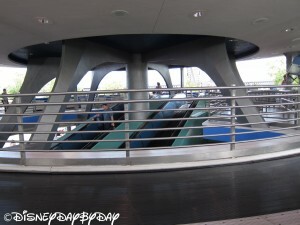 Want to rest your aching legs while getting a tour of Tomorrowland? 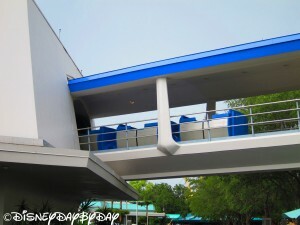 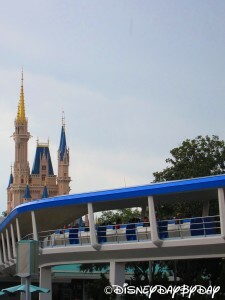 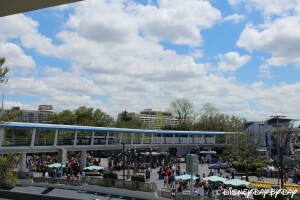 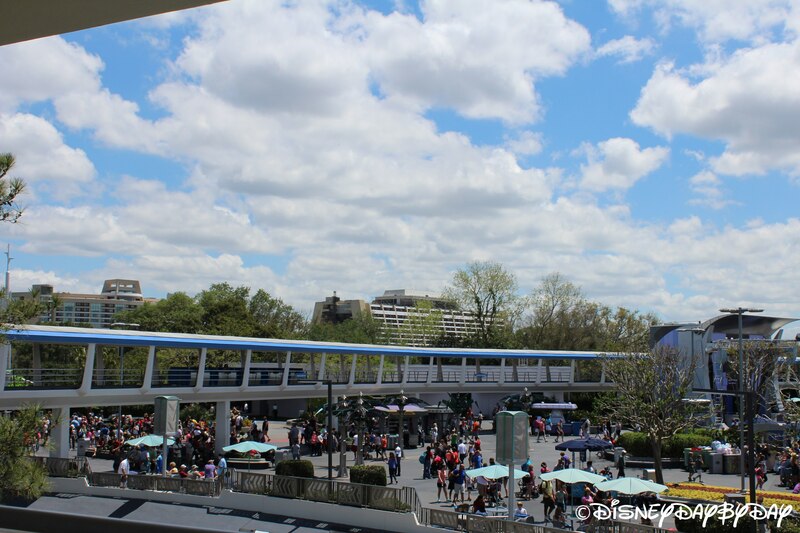 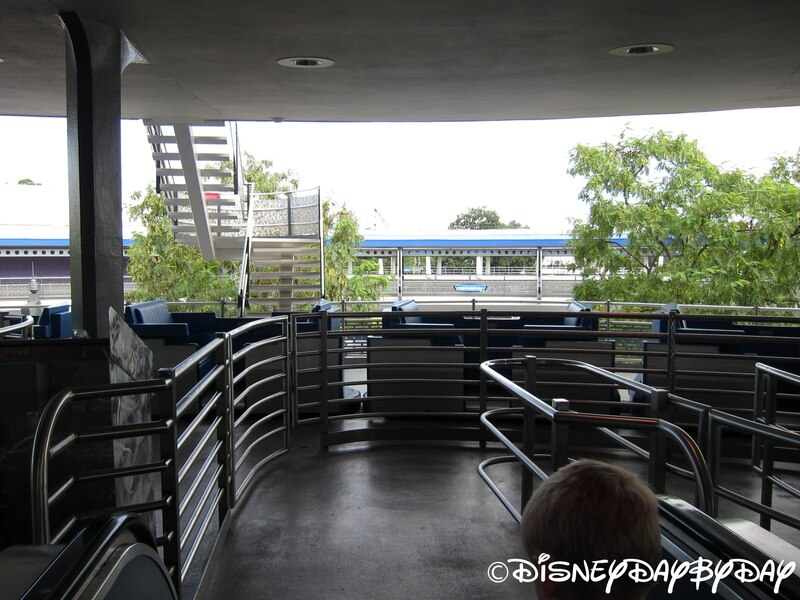 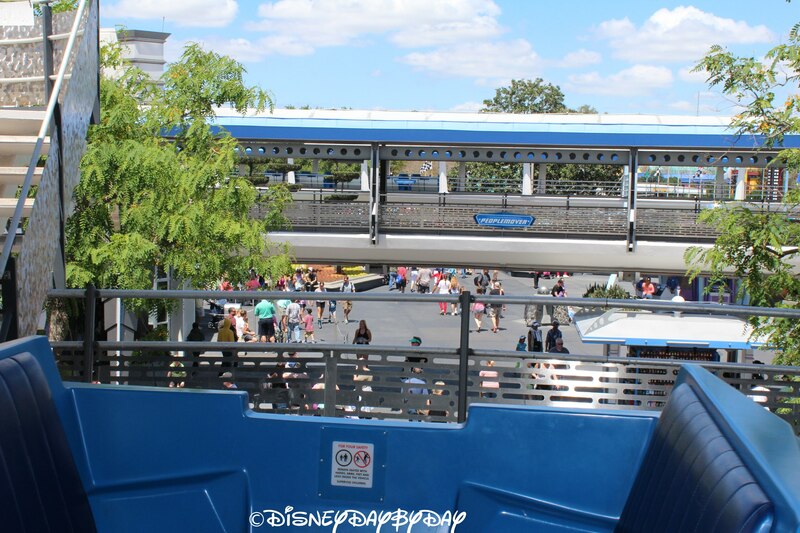 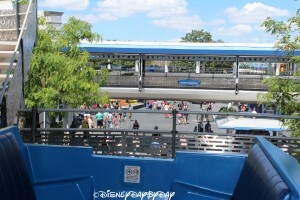 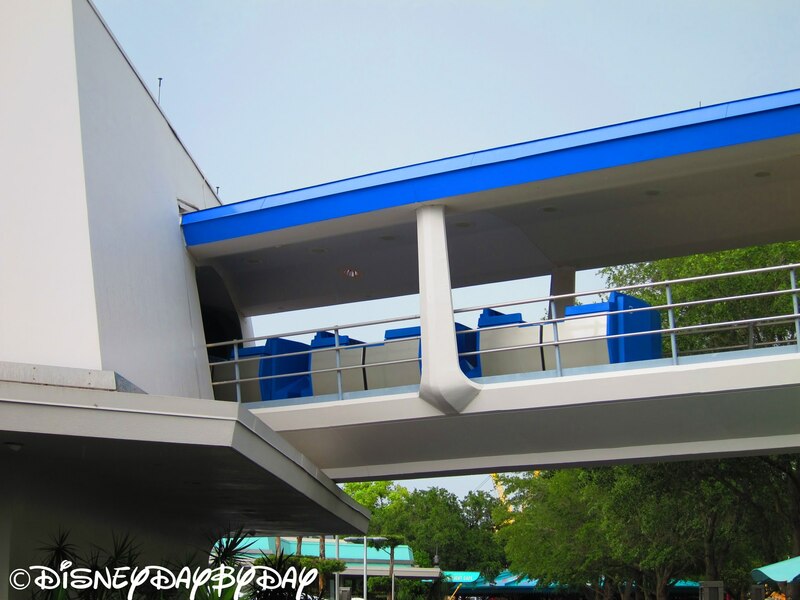 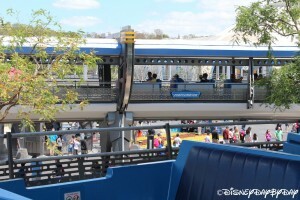 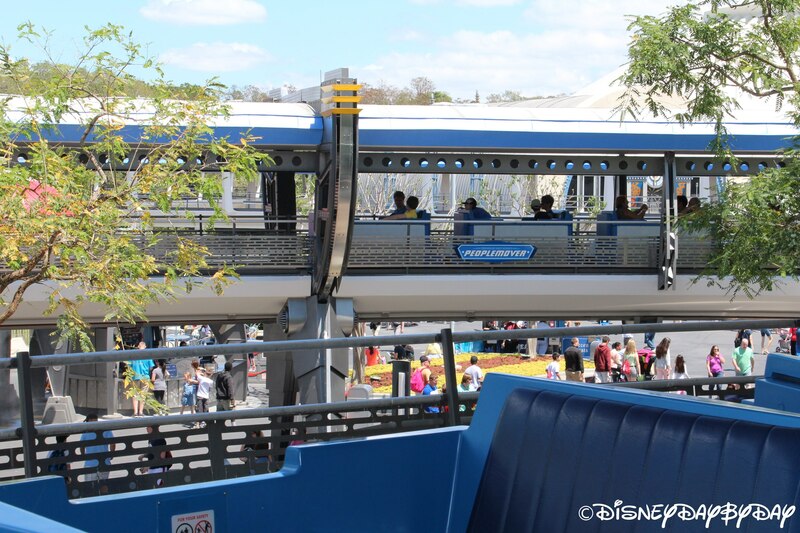 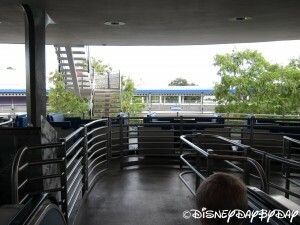 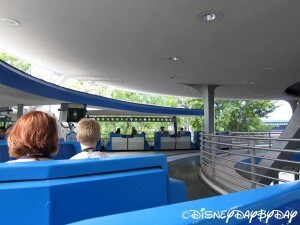 Head on over to the TTA (PeopleMover). 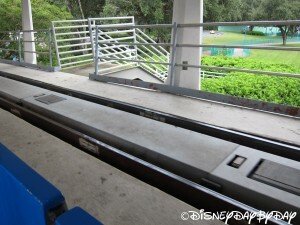 You’ll head up an escalator to a tram driven by magnets for a 10 minute tour. 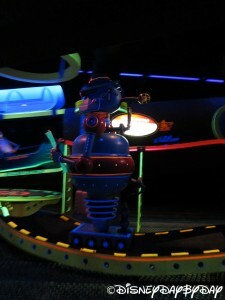 On this tour you’ll go by Tomorrowland Speedway, through a dark tunnel into Space Mountain, and even past a window with a peek inside Buzz Lightyear. 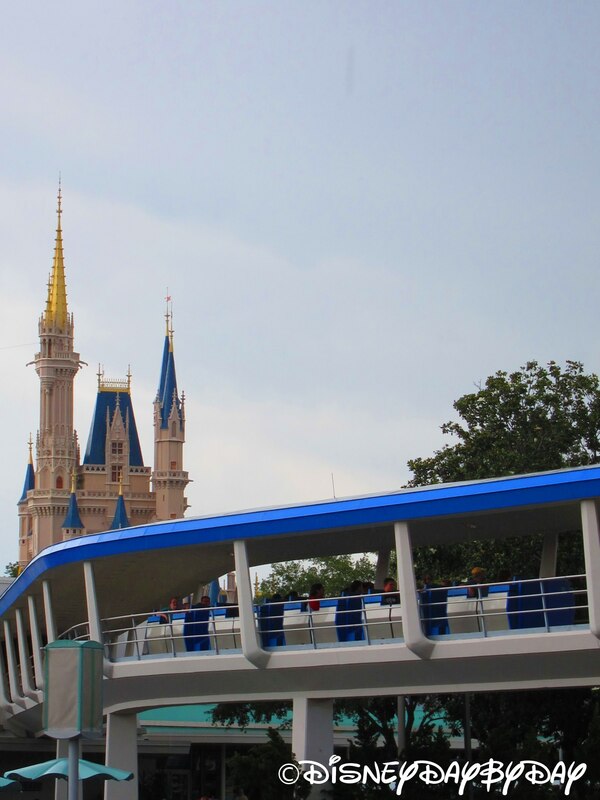 Have your cameras ready for some great Cinderella Castle views. 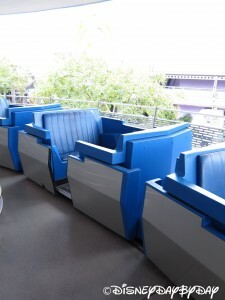 This is a calm ride that people of all ages can enjoy and on hot days the gentle breeze is a welcome relief. 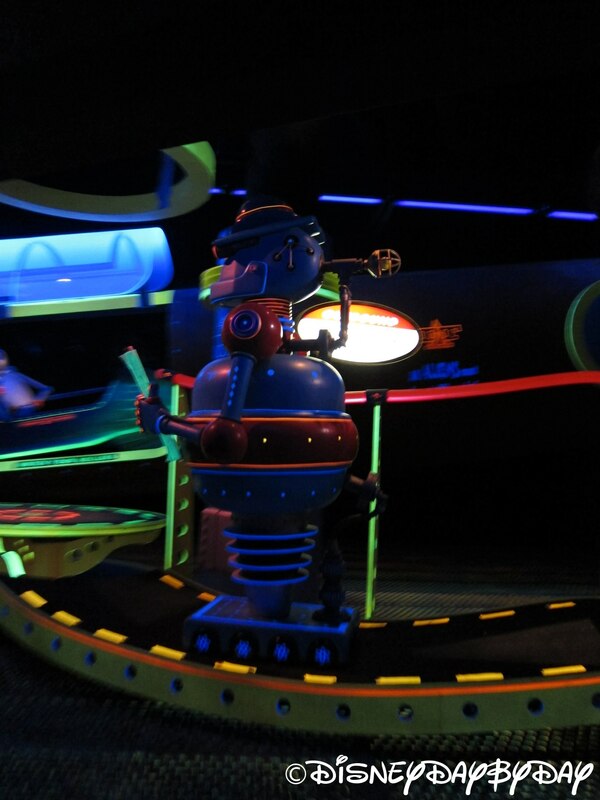 Warning: There are short bursts of darkness as you head through tunnels, the corners can also be sharp and quick so have little ones near. 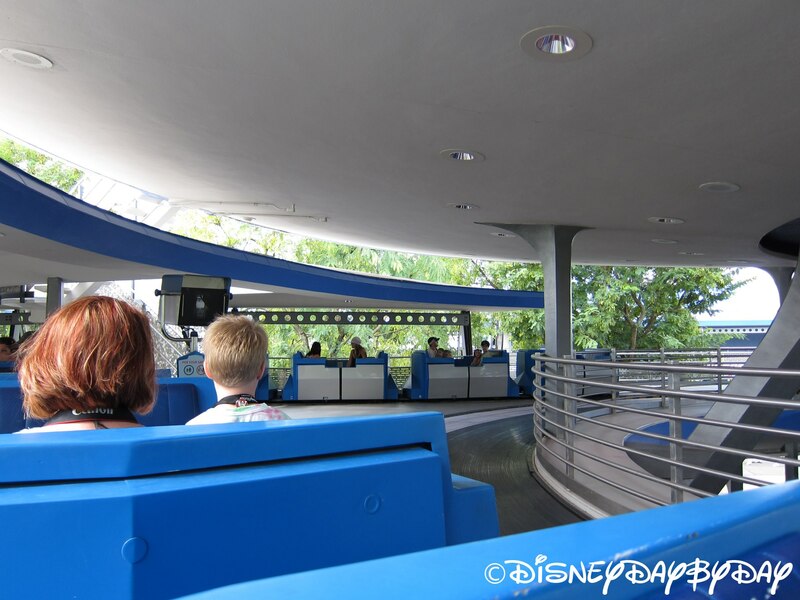 It’s a nice relaxing ride around Tomorrowland. 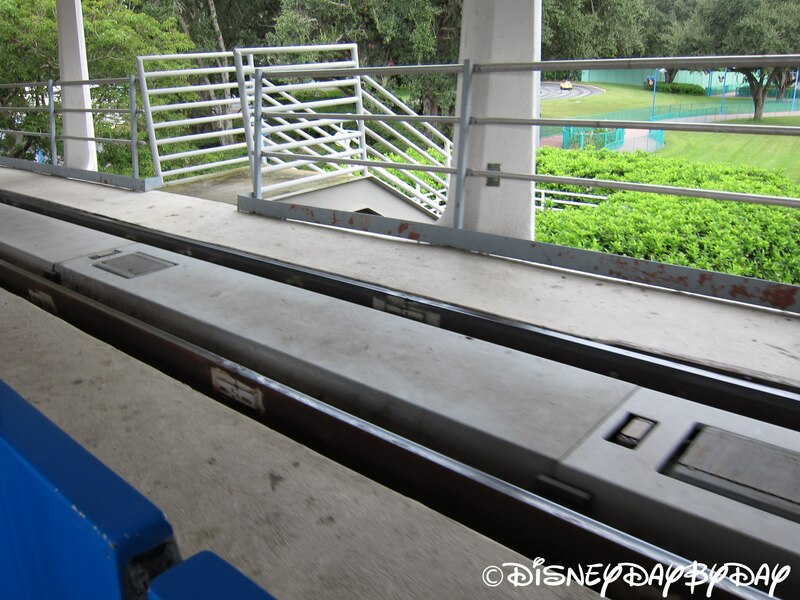 Usually there is a short line for this attraction so give your feet a rest and feel the breeze in your hair.